The two are set to battle it out for the next couple of decades, if we are lucky, but it’s this weeks PGA Championship where our focus lies. Spieth is the name on the tip of every tongue this week and even McIlroy, the world’s number 1, admitted that Jordan is probably the one to beat this week at Whistling Straits. He also talks of Spieth’s amazing record in the majors this year and describes it as one of the best overall performances he had seen. In saying that, it’s the attention on Rory’s ankle that has grabbed most of the headlines in the lead up this week. Will he play? If he does, how will he perform? 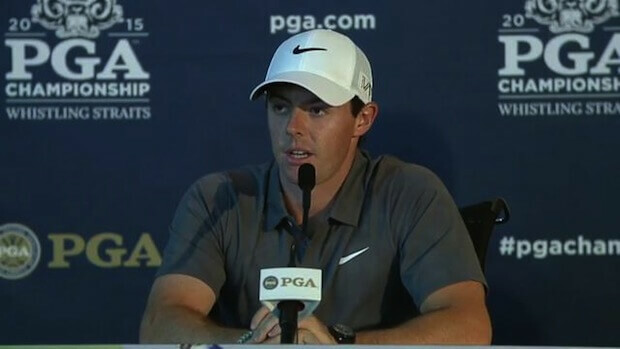 Well at least one of those questions has been answered, he will line up this week, and he will be paired with Spieth. Rory put his injured ankle through its paces last week in Portugal with plenty of gym work and daily practice sessions. He arrived back in the U.S. early this week and unlike his football game, he hasn’t put a foot wrong since arriving at the Whistling Straits layout and is now looking for a strong showing.